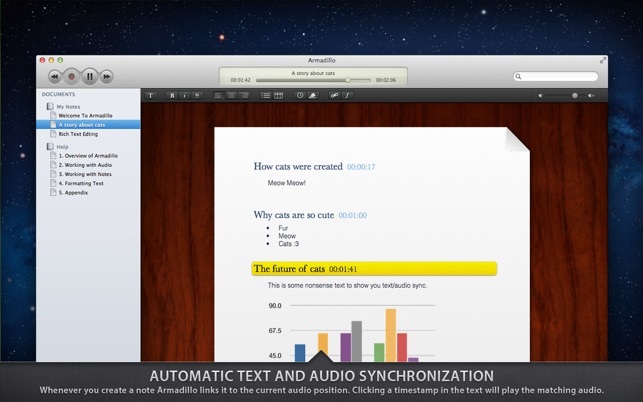 Armadillo automatically synchronizes live recorded audio with written text and creates an archive of knowledge you can later always rely on. It is perfect for recording lectures, meetings and presentations. Just hit record and take your notes. 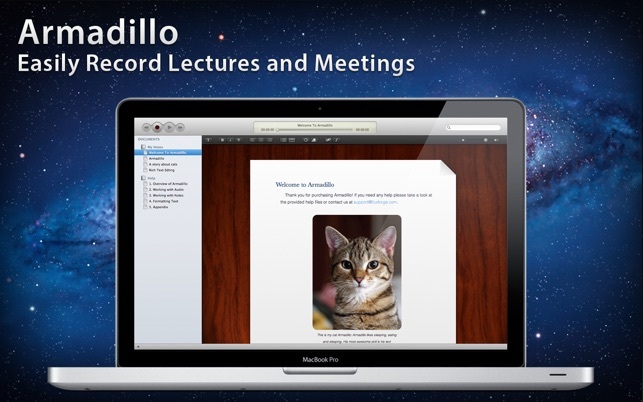 Armadillo Audio Notes will link your notes to the recorded audio. 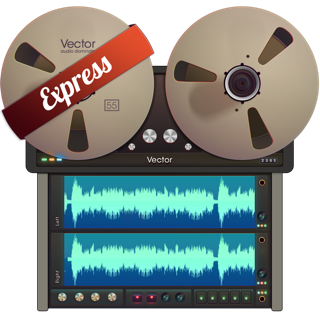 Later you only need to click on a time link to start playback of the matching audio. 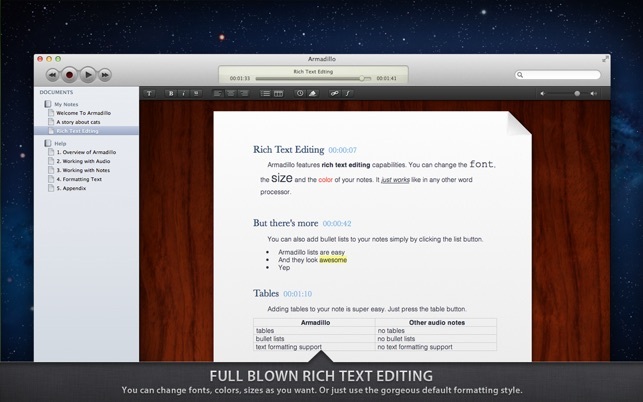 Armadillo Audio Notes features a full blown text editor with support for text formatting and media embedding. You can customize the style of your notes and even embed other files into your notes: Embed charts, spread sheets, images, PDF files and video clips by simply dropping them into your note. 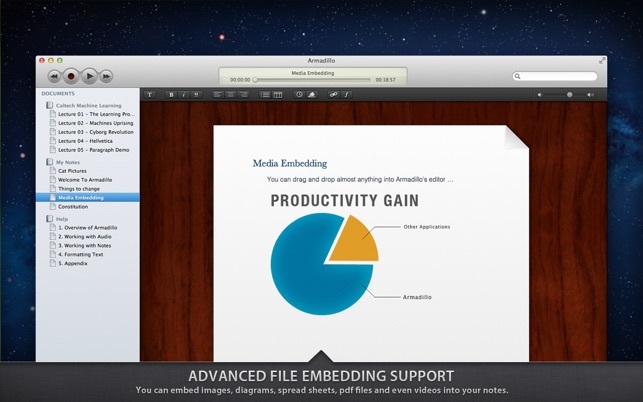 For sharing your notes Armadillo Audio Notes features a built in PDF export function which makes sharing a breeze. 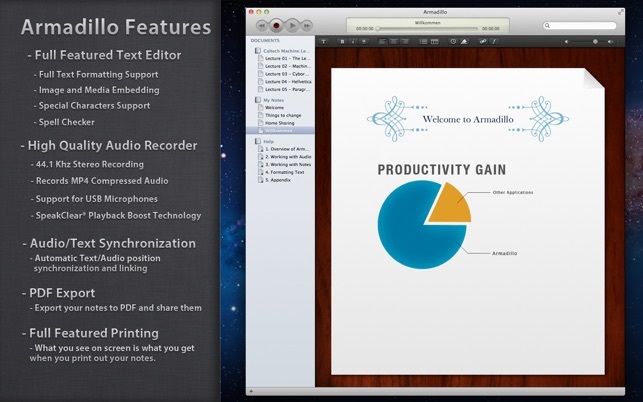 And if you need to print out your notes: The print-out will look exactly like what you see on screen.